You must itemize your deductions to claim mortgage interest. A home is the largest single purchase most Americans will ever make, and home equity is the largest single source of wealth for most American households. Owning your own home comes with a number of tax benefits, including the option to write off your real estate taxes and your mortgage interest. If you are married and file a joint return, you can take the mortgage interest deduction even if your wife owns the home. 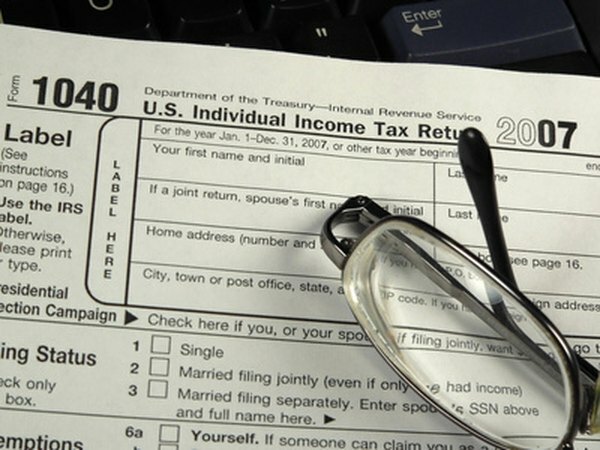 The Internal Revenue Service gives you the option of itemizing your deductions or claiming the standard deduction. Most taxpayers claim the standard deduction, because it is simpler to figure and it typically provides a larger deduction. If you want to deduct the mortgage interest on a home that your wife owns, you must itemize your deductions on IRS Form 1040, Schedule A. The IRS recommends figuring your taxes using both methods, then filing your tax return using the method that provides you with the lowest tax obligation. The IRS considers interest you pay on a loan that is secured by your first or second home to be deductible mortgage interest. While it might sound odd, the IRS requires that both you and the lender intend for the loan to be repaid. Your mortgage interest is deductible if you file a joint return, regardless of whether you and your wife own the home jointly, or if it is owned solely by your wife. If you file separate returns and you own a first and second home, each spouse can claim only one home, unless you both consent in writing for one spouse to claim both homes. You can deduct the mortgage interest on your first and second home. Your first and second homes may be a single-family house, condominium, mobile home, houseboat or other similar property provided it has sleeping quarters, cooking facilities and toilet facilities. Mortgage loans on third and subsequent properties are typically considered to be non-deductible personal loans, unless the properties were used for business or investment purposes. Mortgage loans that were taken out during specific time frames are treated differently for tax deduction purposes. If your wife took out the mortgage loan prior to October 13, 1987, the mortgage is grandfathered and all of the mortgage interest is tax deductible. If she took out the mortgage loan on or after October 13, 1987, the mortgage interest is deductible on the combined mortgage of up to $1 million if you file a joint return, or $500,000 if you file separate returns. NPR: Why Does The Mortgage-Interest Tax Deduction Still Exist? Does Your Name on the Title of a Home Allow a Mortgage Interest Deduction?